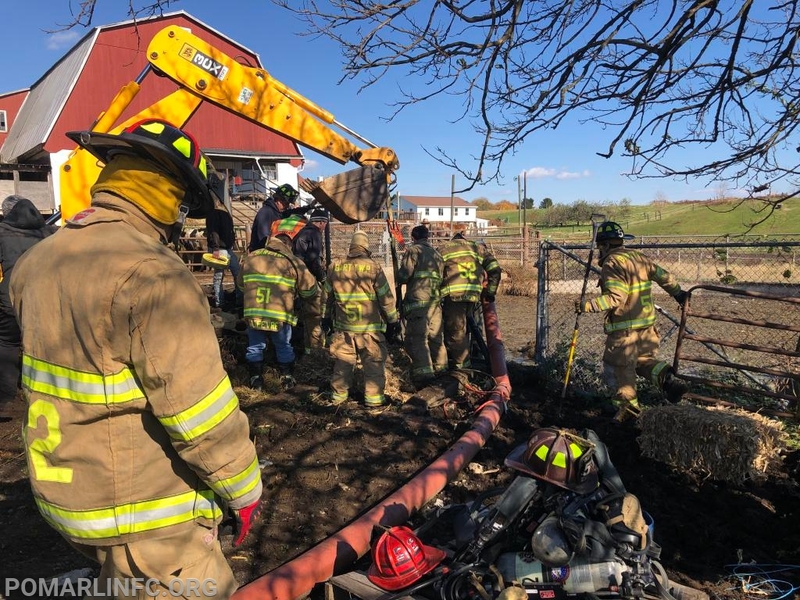 The Po-Mar-Lin Fire Company for the Large Animal Response Trailer was dispatched to assist Lancaster County Station 52 (Christiana). 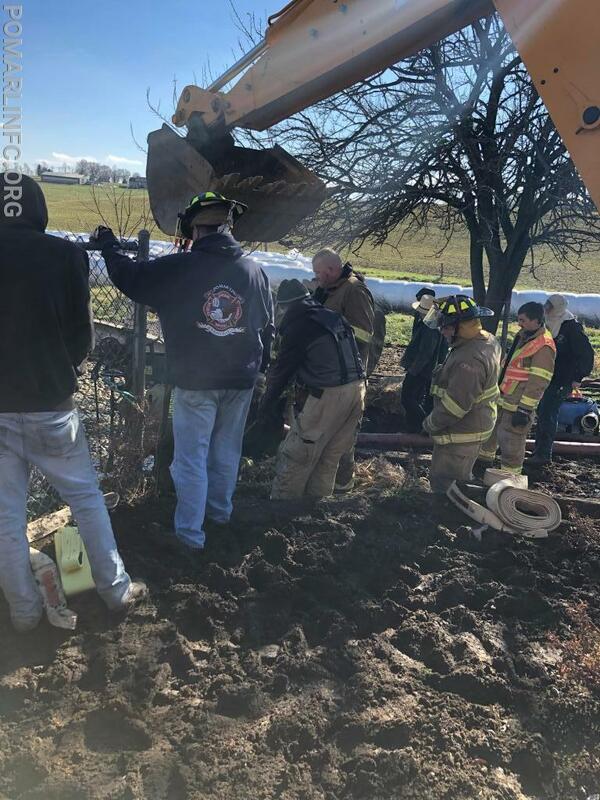 LAR and Utility made the response getting reports of a horse stuck in a 8 foot manure pit. As soon as crews from 36 arrived they went to work. Within an hour the horse was rescued and the members returned to the station. 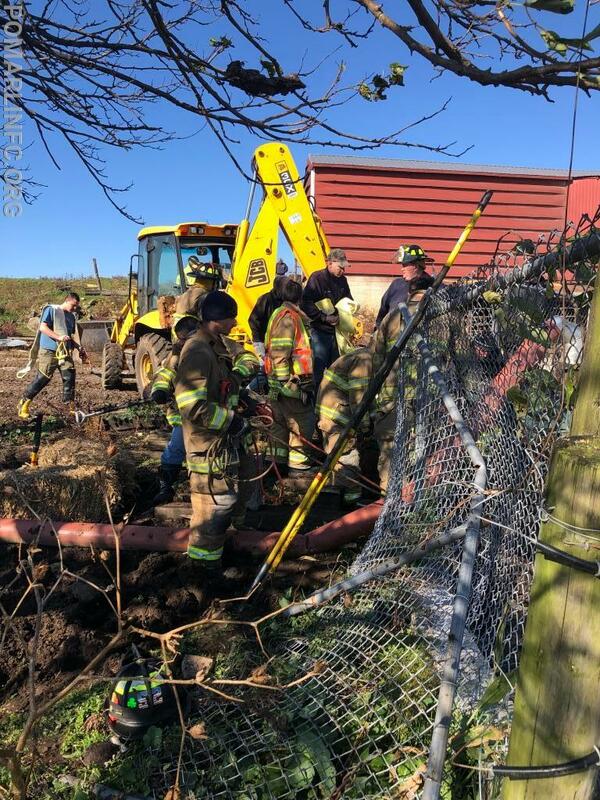 While Utility and LAR 36 assisted Christiana Lancaster County. Engine 36 with a crew of 4 was dispatched to assist Avondale on a working building fire. Crew operated for over an hour at the fire staging at water supply and assisting with overhaul. 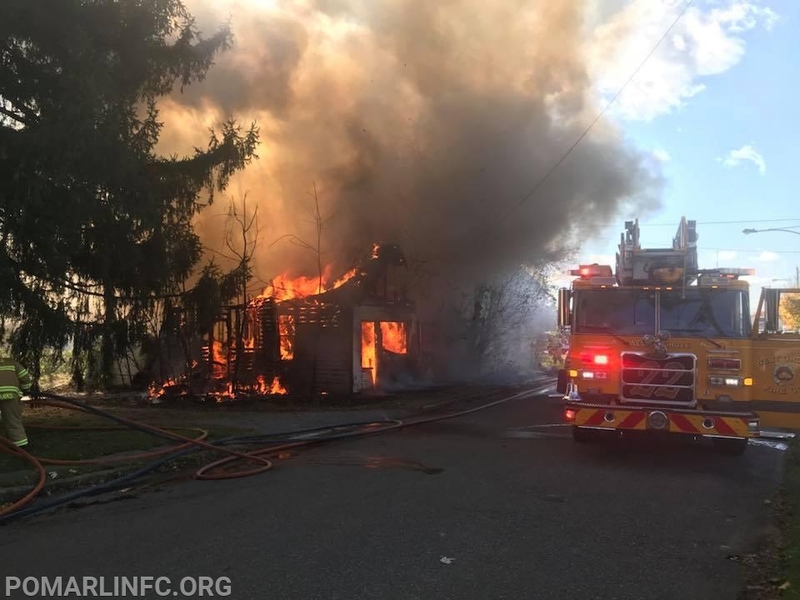 Thanks to Chester County Working Fires on the fire picture.